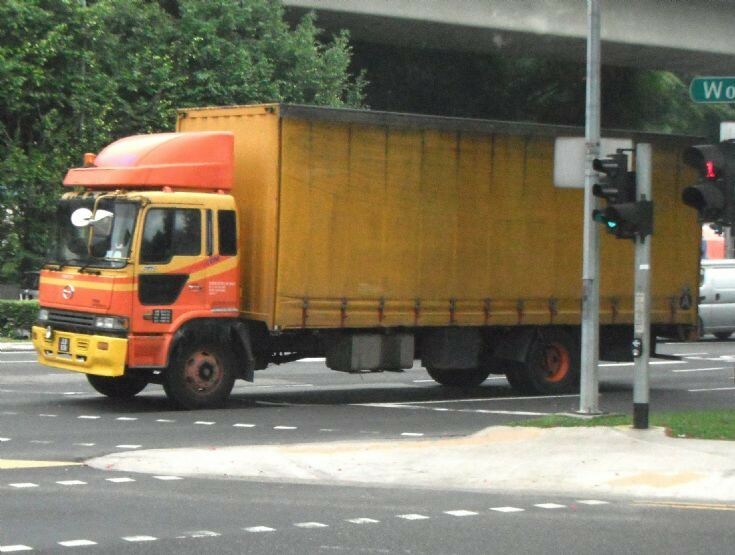 Spotted here at Bukit Timah Expressway in Singapore, this Hino Profia FS series box truck from Malaysia is on its way to return back to Malaysia via the causeway. Unlike its counterparts with three or four axles, this truck is only two axles, which can be categorised as a medium duty truck. Photo taken in Dec 2011.